What’s a Belltowner to do? There’s been a twist in the ongoing story of what’s going to happen with the old Mama’s building. …and it may require a twist to our community strategy for the landmark nomination hearing on September 7. 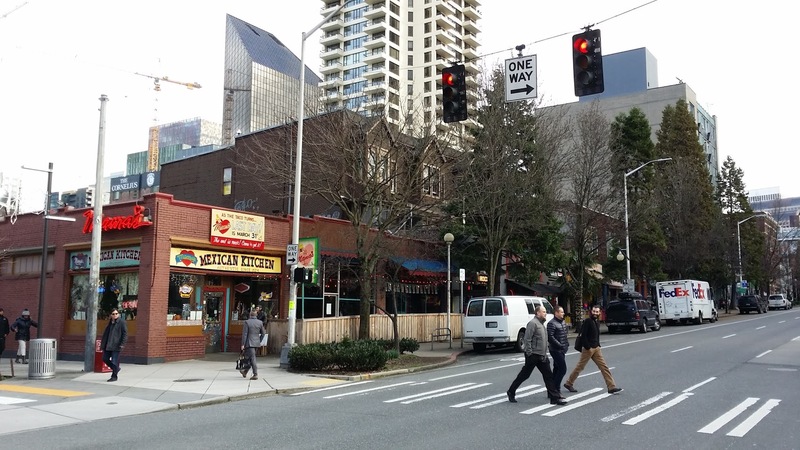 Friends of Historic Belltown met with the Mama’s Building owners’ rep and architects on Tuesday, and while they definitely want to take down the existing building, they also want to work with the community to make a cool project worthy of this location. They want to do something that has something in it for the locals (i.e., the 2nd Ave crowd). They want to meet with the locals to develop specific designs. In short, they said they wanted to do this project right – to be an example of how to build in Belltown in a way that builds on and improves the character of the block we love — not that tears it down. But now – after having such a promising meeting with them — we’re in the conflicting and awkward position of having to be adversarial at the landmark nomination hearing on September 7. It’s a tough spot to be in. We’re trying to figure out a way to not burn an opportunity, while at the same time not turning our backs on this iconic building in the center of the Belltown universe. We’re thinking the City process may force us to play both hands: fight for the nomination, while working with the owners’ group and design team. NO MATTER WHAT — WE WOULD STILL LIKE PEOPLE TO ATTEND THE MEETING ON WEDNESDAY SEPTEMBER 7TH. We’d love to hear any suggestions or comments — so please let us know on the Saving Second Avenue Facebook Page. And as always….STAY TUNED! Previous Previous post: Mama’s building landmark public meeting is September 7th!